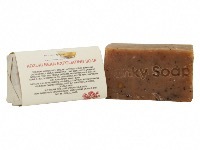 THIS IS A SOAP BAR CREATED WITH BABASSU OIL AS WELL AS COCOA, SHEA BUTTER AND SOAPNUT. IT IS COMPLETELY PALM OIL FREE AND VEGAN. 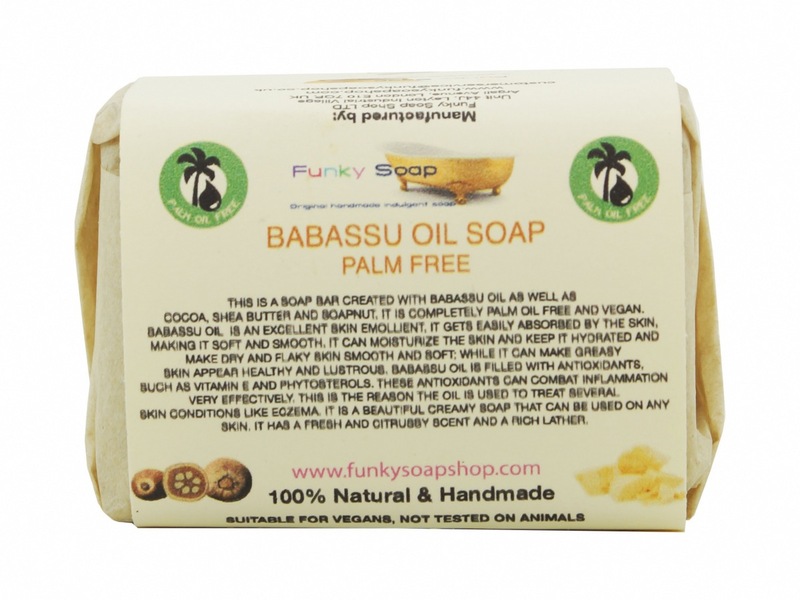 BABASSU OIL IS AN EXCELLENT SKIN EMOLLIENT. 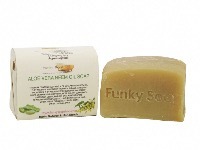 IT GETS EASILY ABSORBED BY THE SKIN, MAKING IT SOFT AND SMOOTH. IT CAN MOISTURISE THE SKIN AND KEEP IT HYDRATED AND MAKE DRY AND FLAKY SKIN SMOOTH AND SOFT , WHILE IT CAN MAKE GREASY SKIN APPEAR HEALTHY AND LUSTROUS. 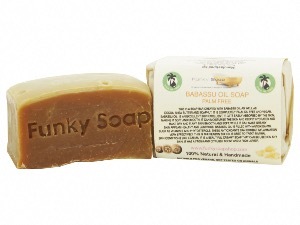 BABASSU OIL IS FILLED WITH ANTIOXIDANTS, SUCH AS VITAMIN E AND PHYTOSTEROLS. THESE ANTIOXIDANTS CAN COMBAT INFLAMMATION VERY EFFECTIVELY. THIS IS THE REASON THE OIL IS USED TO TREAT SEVERAL SKIN CONDITIONS LIKE ECZEMA. 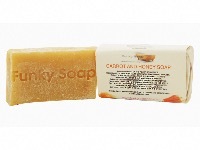 IT IS A BEAUTIFUL CREAMY SOAP THAT CAN BE USED ON ANY SKIN. 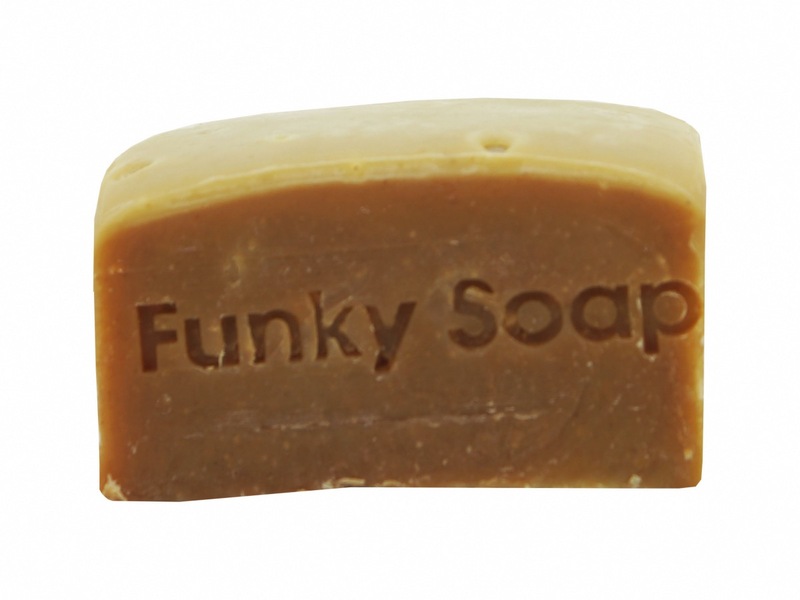 IT HAS A FRESH AND CITRUSY SCENT WITH A RICH LATHER. These products are gorgeous!!! Plastic free and all natural. They really help my eczema, dry, sensitive skin and are lovely to use on my little boy too. The shampoo bars are fab too!